I have used United Airlines Mileage Plus credit card for years. I use it to buy everything, and the miles really add up quickly. Part of the membership deal is that you get get a couple of passes to United airport lounges. I had never bothered to use the free pass in the past, usually because my layover was so short that I didn’t have the time. We had a long layover in Chicago on our way to France, and decided to try it. Free finger food, coffee (even espresso), a full bar, a plethora of power outlets, comfortable upholstered seating, and – get ready for it – free showers! So, you walk into the shower area, put your name down, and they call you when a shower is ready. In this particular lounge, the shower rooms were full size, spotless, private bathrooms with clean towels, even a little travel toothbrush and toothpaste. They completely clean them after each use. You could even get your clothing pressed while you were taking a shower. 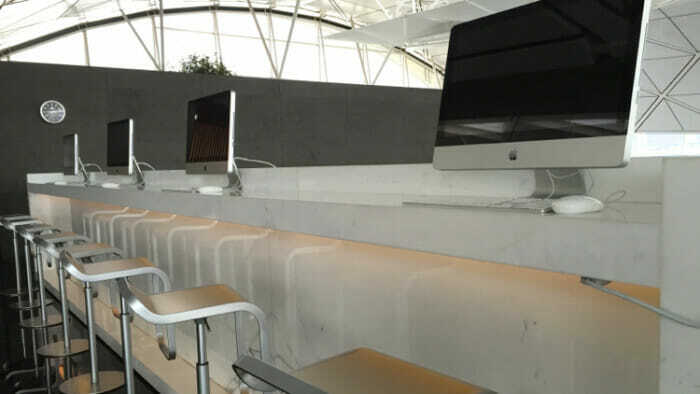 I came across this great article on airport lounges. It is well worth reading. Tracey buys a pass to an airport lounge for just about every trip she takes. I never think of it. That is, until I’m walking by one and wondering what’s behind those tinted glass doors. even showers in some cases. Historically this kind of service has been for business and first class passengers but now the luxury is available to everyone. And when you think of the cost of airport food, it may be less expensive that you think. You just need to know the ins and outs of how. To be clear, access to an airport lounge is going to cost you. The question is, as always, is your purchase worth the expense to you. If you decided that a lounge is where you want to spend your discretionary travel budget, here are 5 ways to do it for less. Use a credit card with lounge access. There are many premium credit cards that offer you lounge access. At the expensive end, the access is unlimited – I didn’t know you could pay $699 for a premium credit card. Yikes! But for some $100 premium credit cards, you can get discounts on lounge entry fees. Buy a lounge membership with your favorite carrier. If you fly frequently, a membership may make sense but they can be expensive. If you don’t fly frequently you can purchase a day pass. The cost is $20 to $50 per three hours. Here’s a list airlines that offer lounge memberships. Buy a third-party lounge membership. A Priority Pass gives you access to 700 lounges around the world. There a three tiers of membership starting at $89. This gives you discounted access rates of $27 per visit. For $249 you get 10 free lounge visits and $359 you get unlimited visits. Plaza Premium has 120 locations in 35 international airports. They offer hot food, beverages, showers, concierge service… just like a traditional lounge. The prices vary by location and you can purchase 2, 3 or 4-hour blocks. You can also reserve your space and pay online. Depending on your airports and expected use, it may be worth buying yourself a gift card which has lower rates. You can also find 20% discount coupons from FlightCentre.ca and AirMiles.ca for access to Canadian lounges. Plaza Premium also runs promotions. Cash in rewards points for a lounge pass. This is hit and miss. With Aeroplan (my main carrier is Air Canada) I can buy one lounge pass for 7,000 points. Given that I can fly to Montreal and back for 15,000 points I don’t consider this a good use of points but you may find a better offer with your carrier. 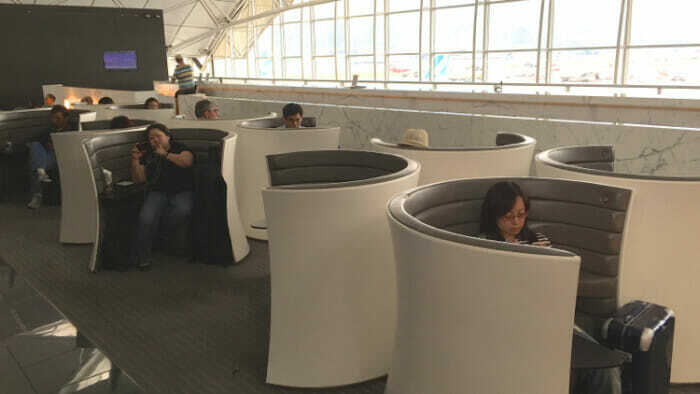 If you’re interested in reviews of lounges go to Skytrax. This article originally appeared on Solo Traveler.